For a starter home, weekend getaway or guest house, our LeBoeuf model offers a large garage with studio living on the second floor. Vaulted ceilings and floor plan design provide an open yet private living area. Dormers and covered porches serve as key design components to turn this model into something much more than ordinary. 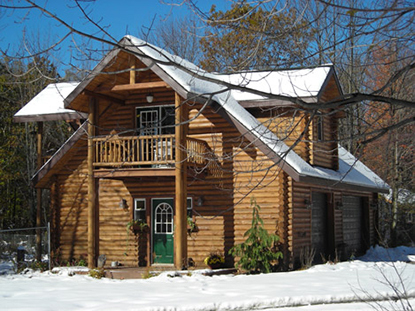 Functional, efficient and practical, are just a few adjectives to describe this charming log home. The LeBoeuf is the perfect model for first time log home buyers.